The patch of skin around the eyes is one of the most sensitive parts of a person’s body and for quite a while now, both men and women have been looking for a way of ensuring that this area of skin looks clear, healthy and is devoid of any of the usual aging signs that we see. To wit, the Vernal Repair Care Eye Gel just might be the solution that you need. What is the Vernal Repair Care Eye Gel? 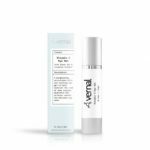 The Vernal Repair Care Eye Gel is an anti-aging el that might be able to help reduce the appearance of dark circles and fine lines on the skin under and around the eyes. It was manufactured with the aim of helping both men and women look much younger, while also improving the quality of the skin and eliminating side effects by improving the circulation of blood around the area of its application. Who is the Manufacturer of the Vernal Repair Care Eye Gel? The Vernal Repair Care Eye Gel was manufactured by Vernal Beauty. Vernal Beauty is a skincare and beauty brand that claims to help their customers achieve the beauty and lovely-looking skin that they always wanted. According to the company’s website, they make use of highly natural, safe and organic ingredients in the manufacturing of their beauty and skincare products. 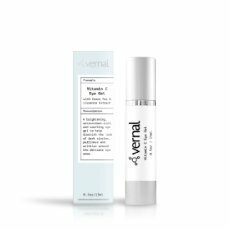 How Does the Vernal Repair Care Eye Gel Work? Essentially, all you have to do is put a little of this eye gel to the area of skin under your eyes. As soon as it gets absorbed by the skin, the ingredients begin to function, essentially reducing puffiness, covering dark circles and ensuring that the patch of skin that exists underneath your eyes is clear. Vernal Repair Care Eye Gel Ingredients – Are They Safe and Effective? The ingredients that are contained in their product can help it to improve the hydration of the eyes, while also soothing and providing a refreshing feeling. They might also help to reduce the appearance of puffiness, essentially leaving your eyes healthy and looking good. Hyaluronic Acid: It helps to reduce the appearance of fine lines and wrinkles in your skin. It can also help to retain moisture within the skin. Aloe Vera: The Aloe Vera is included for the purpose of helping with sun damage. It can also help with the protection of the skin. Matrixyl 3000: With this ingredient, the product might be able to help with boosting collagen and increasing the production of elastin. Cucumber Extract: The extract of cucumber has a lot of vitamin C, protein, lipids and caffeic acid, all of which might help it to reduce the puffiness that users might experience around the eye region. Vitamin C: The vitamin C, according to the manufacturers, is a staple ingredient in basically any eye gel or cream. Adding vitamins is its forte, and it can help to improve eye health and appearance. What are the Advantages of the Vernal Repair Care Eye Gel? What are the Disadvantages of the Vernal Repair Care Eye Gel? The product makes quite a lot of bold claims, and it might not be able to make good on those. How should you take the Vernal Repair Care Eye Gel? When using a product like this, it is always recommended that you follow the instructions of the manufacturers. However, it would seem like all you have to do is apply a little amount of the product to a clean finger. Then, apply it to the lower eye region and have it gently massaged into your skin. However, you might also want to be careful as this skin is known to be very sensitive. Also, for the best results, you might want to make use of the gel on a daily basis. How much does the Vernal Repair Care Eye Gel cost? What is the Vernal Repair Care Eye Gel return policy? The manufacturer’s website says that they don’t accept returns due to the nature of the product, however, in certain situations, they might also offer replacements or shop credits. Does the Vernal Repair Care Eye Gel offer a free trial? Information regarding free trials doesn’t exist on the manufacturer’s website, so they probably don’t offer those. All in all, the product does make some bold claims, including being able to help soothe the skin. Also, according to the ingredients that it contains, it might also be able to help improve the quality of the skin, while reducing puffiness and some signs of aging. However, given that fact, you might want to also remember that it doesn’t seem to be readily available around you and it might cause some irritation to people who have highly sensitive skin. Considering all of these, remember that if this product doesn’t offer good value for your money, then there are some alternatives that you can go for.